Marcus Rashford played a vital role in United's revival under Ole Gunnar Solskjaer. Manchester United manager, Ole Gunnar Solskjaer claims that forward Marcus Rashford ignored his instruction in the Red Devils' 1-0 victory against Leicester City in the Premier League. Manchester United extended their unbeaten run under Ole Gunnar Solskjaer as they beat Leicester City 1-0 at King Power Stadium in their Premier League fixture yesterday. Marcus Rashford scored the only goal of the game and continued his remarkable growth under the Norwegian manager. The young Englishman now scored nine goals in 22 Premier League games thus far this season and is the joint-leading goalscorer for the club. The Red Devils moved to the fifth place, one place above Arsenal, with their victory against the Foxes and will be looking forward to finishing in the Champions League qualification places for the next season. 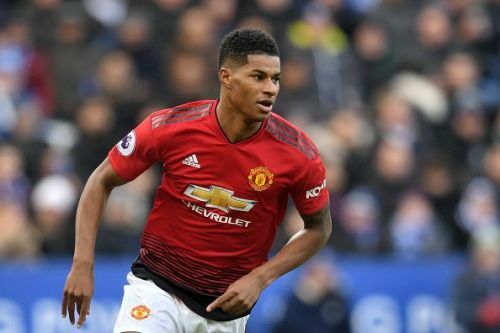 Manchester United manager, Ole Gunnar Solskjaer revealed that Rashford ignored his one instruction during the game but admitted that he forgave the Englishman. The Norwegian also revealed that the youngster had to play through the pain barrier to keep his place in the side at Leicester. Solskjaer said: “He’s played a lot of games and he got a dead leg earlier on but he struggled through it so well done,”. The Red Devils will play Fulham in the Premier League next before hosting Paris St. Germain at Old Trafford in the first leg of the Champions League Round of 16.